At Camp Korey we have an amazing volunteer medical team comprised of doctors, nurse practitioners, registered nurses, pharmacists, and respiratory therapists. Rachael Cherryhomes, RN is one of them. 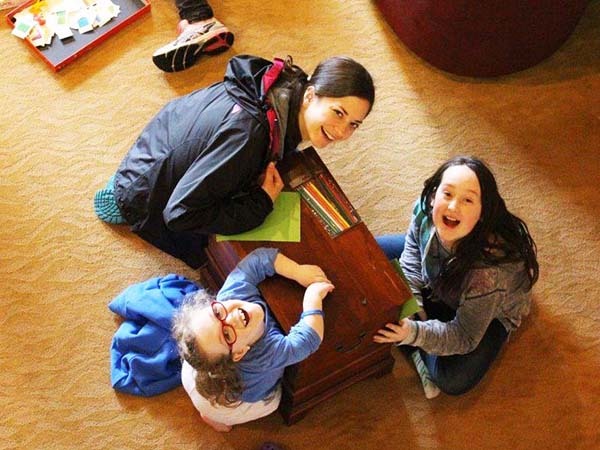 Rachael first heard about Camp Korey when she was a freshman at Seattle Pacific University. She knew right away that this was something she wanted to be a part of, to help create the magic of camp! Rachael’s main volunteer role since graduating college has been as a volunteer nurse, but she has worn many different hats at Camp Korey. In 2010 Rachel volunteered as a cabin counselor, was a summer staff member for two years and, tries to fit in some time at Family Weekends and day events. As a volunteer nurse during the summer, Rachael works with the parents before camp begins to ensure their child is set-up medically for a successful week at camp. She also provides nursing care to a cabin full of campers for the week, providing routine care and support. Rachael loves being a nurse at camp because she gets to use her skills to ensure kids are safe, while also forming relationships and supporting campers in their adventures. “I love the kids we serve, and I believe wholeheartedly in the mission of camp to honor the courage, strength, and determination of these incredible kids. I love that we empower kids to grow in ways they never thought possible. I love that Camp Korey breaks down the walls of what kids might be ‘able’ to do. I love that we tell kids ABSOLUTELY! When the world might tell them no.” Rachael has made such meaningful and lasting friendships with other Camp Korey volunteers and staff members – it’s a family she knows she will be a part of forever.